Daniel Balson, advocacy director at Amnesty International USA, noted that this is just “the latest attack on international justice and international institutions by an administration hellbent on rolling back human rights protections.” Visa bans, as Balson pointed out, are “powerful tools typically reserved for the most serious of human rights abusers.” But rather than targeting global criminals, the Trump administration has set its sights on the ICC—an impartial judicial body that aims to promote accountability under international law by probing and prosecuting crimes of aggression, crimes against humanity, war crimes, and genocide. reports that on 30 January 2019, Randy Felix Malayao, a human rights defender and peace consultant for the National Democratic Front of the Philippines (NDFP), was shot dead while he was asleep on bus in Aritao, Nueva Vizcaya. Randy Felix Malayao [https://www.frontlinedefenders.org/en/profile/randy-felix-malayao] was a human rights defender and peace advocate. Since 2008, he had served as a consultant on political and constitutional reforms for the NDFP, a coalition of groups that has long been engaging in peace negotiations with the Phillipine government. The human rights defender also participated in the peace talks in Europe in 2016, as a spokesperson during the formal negotiations. Other than his work with the NDFP, Randy Felix Malayao was also on the board of trustees of a local human rights organisation in Northern Luzon, the current vice president of the Makabayan coalition, and an active campaigner against human rights violations committed by the military in Cagayan Valley. Following the death of the human rights defender, his work and character were targetted by a slew of unfounded allegations from the Philippine National Police (PNP). They alleged that Randy Felix Malayao was a ranking officer of the Communist Party of the Philippines (CPP), that he embezzled funds from “the Party” and extorted money from the people, and that he had eloped with another activist who was already married. Randy Felix Malayao’s family denounced these allegations. Cristina Palabay, Secretary General of Filipino NGO Karapatan , also denounced the PNP’s allegations and reaffirmed that Randy Felix Malayao was not a member of the CPP. To show that harassment of HRDs continues unabated is shown by the Amnesty USA report that the Philippine Department of Justice has recommended ‘cyber libel’ charges against Maria Ressa, the editor of news outlet Rappler, together with one of its former reporters. Amnesty International’s Philippines Director, Butch Olano stated: “The latest harassment of Maria Ressa and her team comes as no surprise. Rappler’s fearless journalism has consistently exposed the so-called ‘war on drugs’ for what it really is: a deadly campaign that has led to thousands of unlawful killings of poor and marginalized people, including children. Critics, activists, and journalists alike have faced President Duterte’s wrath for speaking the truth”. It is all the more ridiculous given that the National Bureau of Investigation, which first reviewed the complaint, dismissed this claim as baseless last year. Background: On May 29, 2012 Rappler published a story, written by former reporter Reynaldo Santos Jr., alleging that a car used by former Chief Justice Renato Corona during his impeachment trial belonged to a businessman, Wilfredo Keng, who has alleged ties to human trafficking and drug smuggling rings. On January 10, 2018, Keng filed a “cyber libel” complaint against Santos, Maria Ressa, and six members of Rappler’s board of directors under the Cybercrime Prevention Act of 2012. The National Bureau of Investigation subsequently dismissed the complaint because the report preceded the enactment of this law. In a January 2019 decision obtained by Rappler this week, the Department of Justice revived the charges against Ressa and Santos, as well as Rappler Inc., on the grounds that the news article was updated in February 2014, and is therefore actionable. Maria Ressa and Rappler Inc are already facing charges of tax evasion which Amnesty has condemned as politically-motivated. Rappler has been a consistent critic of President Rodrigo Duterte and his administration, publishing detailed investigations into some of the thousands of extrajudicial executions committed by police and other unknown armed persons during drug-related operations. The end of USA’s human rights policy as we know it? Under the strong title “Tillerson shows why he was a rotten choice to head the State Department“ Jennifer Rubin describes in the Washington Post of 4 May 2017 how a long tradition of human rights policy by the USA may be coming to an end. 2016 Bessie Award-winning choreographer Joya Powell brings her Movement of the People Dance Company to the premiere International Human Rights Art Festival, New York City‘s first arts-advocacy festival of its kind. The Festival, presented by The Institute of Prophetic Activist Art, co-sponsored and housed at Dixon Place (161A Chrystie St, NYC), will take place 3-5 March, 2017. As part of the Dance portion of the festival, Jessica Chen of J Chen Dance project is working with three additional dance companies to create human rights-oriented dance. Jacqueline Dugal will also create a piece incorporating human rights texts. Tickets are $10-25 and are now available online with full schedule and participant information at www.dixonplace.org. The International Human Rights Art Festival will bring together more than 70 artists producing more than 40 events, all of them oriented toward advocacy. Artistic media will include theatre, performance, dance, spoken word, painting, photography, music, literary arts, workshops, panel discussions, a kidsfest (hands-on activities to introduce children to using art for socially-transformative purpose), film and others. Rigorously curated for quality as well as content, the event includes some of New York’s most passionate rising artist-activists. It will raise social, cultural and political issues, as well as offering gentle, positive responses through thoughtful beauty and political and social thinking. Wednesday 10 June, 2015 (p.m.) Robert F. Kennedy Human Rights, Peace Brigades International, and Amnesty International USA organize a “Discussion with Colombian Human Rights Defender Berenice Celeita“. The event will feature Ms. Berenice Celeita, the founder of the Association for Investigation and Social Action (NOMADESC) and winner of the 1998 Robert F. Kennedy Human Rights Award. Through NOMADESC, Ms. Celeita advises and accompanies social organizations and unions as well as civic, women’s, indigenous, afro-descendent, and family farmer organizations. Ms. Celeita will discuss the current human rights situation in Colombia, including the most pressing issues faced by marginalized communities claiming their rights, and will speak about strategies for combating human rights abuses against these populations. To attend contact: rsvp@rfkhumanrights.org before 8 June. On 13 November KCETLink, a US national independent public media organization, presents the television premiere of “BEATRICE MTETWA & THE RULE OF LAW“, chronicling the courageous human rights defender and her fight against social and political inequalities in Zimbabwe. Through interviews with Mtetwa and some of her clients, the film tells the story of what happens when leaders place themselves above the law and why defense of the rule of law is the cornerstone of society in which human rights are respected. Although Mtetwa’s platform is centered in Zimbabwe, her message and bravery are universal. The television broadcast of BEATRICE MTETWA & THE RULE OF LAW coincides with the Ivan Allen Jr. Prize for Social Courage presented by Georgia Tech honoring Beatrice Mtetwa on Thursday, 13 November, 2014. The Ivan Allen Jr. Prize for Social Courage recognizes individuals around the world who, by asserting moral principle, have positively affected public discourse at the risk of their careers, livelihoods, and sometimes lives. On Tuesday 11 November, viewers will have the opportunity to watch a live stream of a Q&A with Mtetwa and filmmaker Lorie Conway moderated by Jacqueline J. Royster, Dean of the Georgia Tech Ivan Allen College of Liberal Arts, starting at 8 p.m. ET at linktv.org/mtetwa. In advance of the Q&A, viewers can also submit questions for Mtetwa online at linktv.org/mtetwa or on Twitter and Facebook using #allenprize. 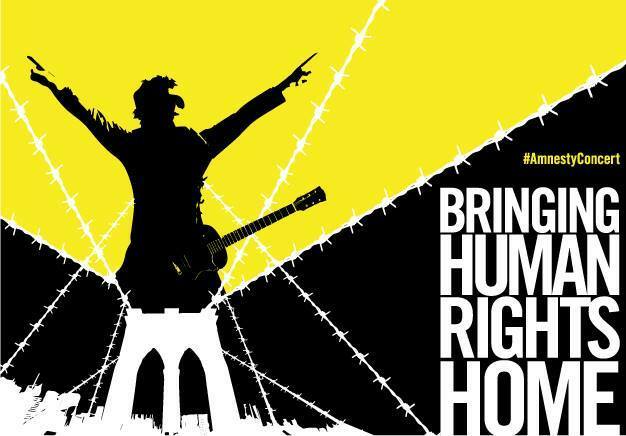 Amnesty International USA will also host the live stream of the Q&A on its website at amnestyusa.org. The film is also available online at linktv.org/mtetwa. KCETLink Presents World Television Premiere of Human Rights Documentary, Beatrice Mtetwa & The Rule of Law | KCETLink Press Releases | Press Room | KCET. Can ‘big data’ can help protect human rights?